Oh no! The dreaded news has flashed across the information board – your flight is officially delayed! What do you do when you’re stranded on the airport? You cannot just sit idle, waiting for the hours to pass. It’s time to turn things up and make the best out of this unfortunate situation. 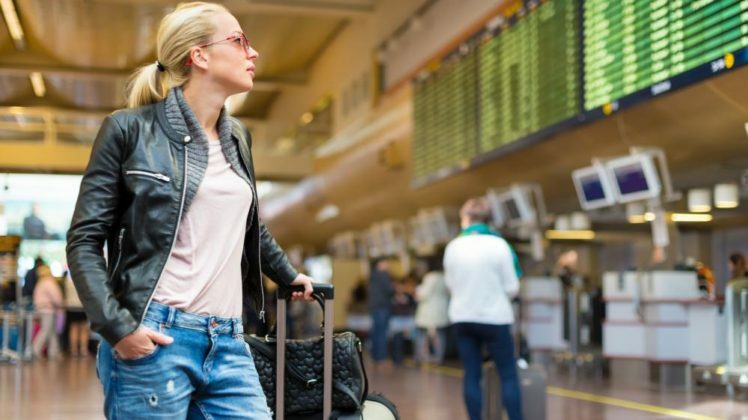 We’ve compiled a list of fun activities that you could indulge in while stuck at the airport. Turn to the novel you’ve had for weeks waiting to be read during some free time. Travel with your Kindle and scroll through the chapters of your favorite book. Don’t have a book with you? The airport bookstore is the best place to find an interesting book or magazine. Situate yourself in a comfortable spot and sip on your coffee as you watch the chaos that surrounds an airport. People-watching is a lost art that can be perfected in busy airports. You will find a wealth of people from all walks of life going through different emotions and experiences. Subtly engage in this activity – you don’t want to stare at people too long and come off as a creep. Most airports have duty free shops with bright sparkling lights calling attention to the goods on display. You might feel like buying temping perfume bottles and the luxurious designer items at tax-free prices. Well no one is going to char you for looking. Grab your carry-on bag and stroll through the marbled floors admiring the products and testing out samples. Yes, we know it doesn’t sound like a lot of fun! If you don’t want to walk around the airport looking for fun activities, sit in a nice coffee shop and work on your emails. It doesn’t have to be boring and redundant. Order a cup of coffee and a donut to fulfill your sweet cravings. You deserve to treat yourself after the unpleasant turn of events. Find the nearest bar and drown your sorrows in booze. We don’t mean to encourage you to get drunk, but a cold beer will certainly lighten you up. Nurse a glass of whiskey and make friends with other disgruntled passengers who are in a similar situation. It doesn’t hurt to daydream about your future vacation trips while gazing at the arrivals and departures board. Get inspired to visit different places and search for vacation packages online. You might just come across a traveling agency with affordable offers. Book a limo service and travel to the airport in style and luxury! We offer a wide range of limo fleets and private car transportation services in Singapore. Our limousine rentals are comfortable and are accompanied by friendly chauffeurs to ensure a smooth and safe ride.